Another social media case. This time, instead of the keys to a Facebook account being sought, it is a YouTube video that had been pulled down or hidden. And the video subject matter involves drinking, smoking, shooting a gun and cursing, among other things. Is this stuff relevant to the lawsuit such that it need be disclosed? The case of Reid v. Soults starts with tragedy, as 26-year-old Robert Reid falls off an ATV and suffers a traumatic head injury. Off he goes to see the defendant doctors for treatment. A medical malpractice suit ensues as the young man dies, premised on a delay in treatment for cerebral edema. As with every other medical malpractice case, obviously no claim is made for the injuries suffered before the patient came into contact with the defendants. In this case, there is a YouTube video called “Rob Reid Raw and Uncut” that was placed online by non-party Thomas Reid, Jr. (brother of Rob). It showed, according to the defendants, “the decedent drinking, smoking, and using guns,” all of which preceded the accident and alleged malpractice. That video was then taken down or made private. Coming as a shock to absolutely no one, the defendants wanted an authorization for the YouTube account of the non-party, bringing up an interesting issue as to whether such discovery should be entertained. The plaintiff, of course, countered that the only reason the defendants wanted the video was so that they could besmirch the character of the decedent in the hopes that the jury wouldn’t like him, and therefore ignore issues of malpractice. In other words, the plaintiff wants the trial to focus on the doctors. The defendants want the trial to focus on the conduct of the decedent before any accident even occurred, and are looking for any hook to make it relevant. The issue for the court: Could the requested discovery be relevant to the issues of pecuniary loss and life expectancy, which are at issue in a wrongful death case, such that it would then make it discoverable? Back in 2011 when a lower court told a different plaintiff to cough up all Facebook data for a similar request for social media records, the appellate division (First Department) stopped the practice dead in its tracks and forced the lower court to do an in camera review. The problem here for the courts is that, with the explosive creation of new potential evidence due to a variety of social media, the courts could be swamped by such requests, and each request could contain mountains of postings, private messages, photographs and videos. As a matter of judicial policy, such a fishing expedition is not a sufficient basis to open the flood gates of meandering thoughts or silly postings to be used to impeach a party in a simple assault or negligence action without any good cause to believe that any incriminating statement was ever made and publicized in the social media. These are not matters of national security or part of a criminal investigation. This is a civil tort matter of a minor assault that should have a good faith basis other than supposition, hope or speculation that some comment was made that may be relevant to the case at hand. The appellate court in the Reid matter told the lower court to review the video. And Judge Joan Lefkowitz, who sees many of the medical malpractice cases in Westchester, did just that. And she found it badly wanting in the relevancy department, giving the defendants a big fat no in response to their attempts. A final note: While the standard here is that the party making the request must show a “factual predicate” to get access to the records, the exceptionally burdensome task that will befall the courts in doing the reviews of what could be, in some cases, mountains of records, means that if such requests are not well-documented, the request should be doomed. The vast majority of such requests I have sheen so far are simply fishing expeditions. Courts are not going to place themselves in the position of looking for a minnow in an ocean on behalf of the defendants. Note: On my request, plaintiff’s counsel Anthony Pirrotti, Jr. — a frequent lecturer to other trial lawyers — provided me with some of the background, via one of the briefs. Enough with the LinkedIn Endorsements! They come poring in to my email these days — LinkedIn endorsements. And I still can’t figure out why this is happening. When I joined LinkedIn a couple years back it was to see what this other social network was and post my bio in case anyone using the service wanted to find me. I assumed it was a pretty pointless exercise since I already have a pretty good web footprint, but hey, you never know if someone is going to invent a better toaster. Twitter, after all, supplanted my RSS feed. In doing so, I also accepted connections from other lawyers since this was just a simple click and it cost me almost no time. As long as I didn’t smell a marketeer that was going to follow-up with email solicitations, it didn’t seem to matter much to me. 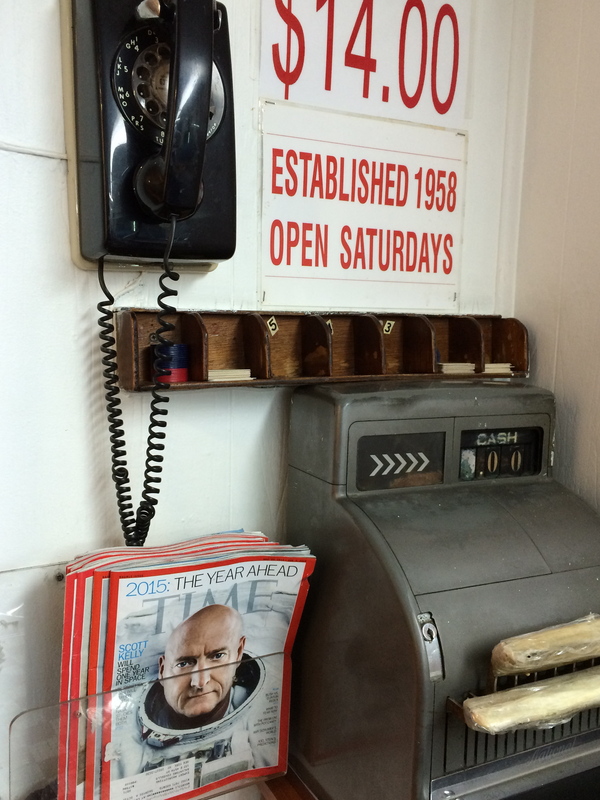 But LinkedIn wasn’t, as far as I could tell, a better toaster, and it just seemed to be yet another gathering point for people to connect with others, and yet another way to spend time that could be better spent with doing actual work, or time with family. My wife, a recruiter for dot com companies, loves the site as it enables her to look for people with certain attributes to fill positions. For job hunters, it can be valuable. But for a practicing lawyer to be spending time there? Every so often I noodled around with it, and joined a legal blogging group that I diligently checked once or twice a year. That was about it. And then started the flood of people endorsing me. Friends, adversaries and strangers. A first I was flattered. I’m easy that way. 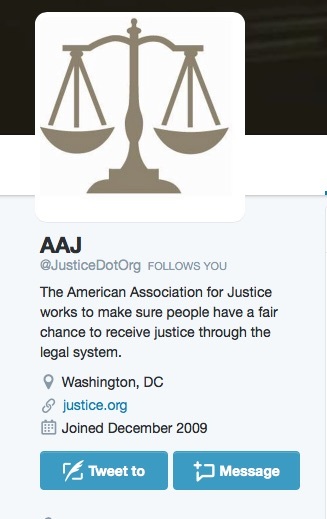 But I was endorsed for legal practice areas sometimes, in areas where I don’t even practice. I endorsed a few people back if I knew them and was familiar with their skills, but the problem is that the endorsements came in like a flood, sometimes multiple ones from the same person, but with new practice areas noted. And each time I tried to endorse someone back, in took me several minutes just to do it right, me not being the type to willy-nilly endorse people. My brain finally started to fire properly and I belatedly realized that this endorsement racket is, for most, a massive self-congratulatory pat on the back to each other that doesn’t amount to a hill of beans. Sort of like a contest to see who can collect the most Twitter followers. I’ve stopped, at least for now, because I can’t answer the one big question: What the hell is the point? 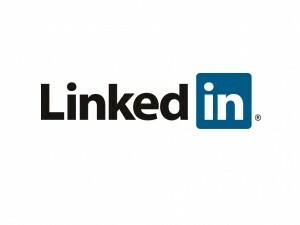 It isn’t as if a potential personal injury client is going to go to LinkedIn to find an attorney. And even if they were already deeply involved with LinkedIn, and used the service on some regular basis, it isn’t as if such a person would be duped by the endorsement scam. Would some other attorney find me and refer a case? Maybe. But they are also unlikely to be duped by the endorsement scam. They would see my bio, and they would ask around. So I’ve stopped what I see as a pointless charade. 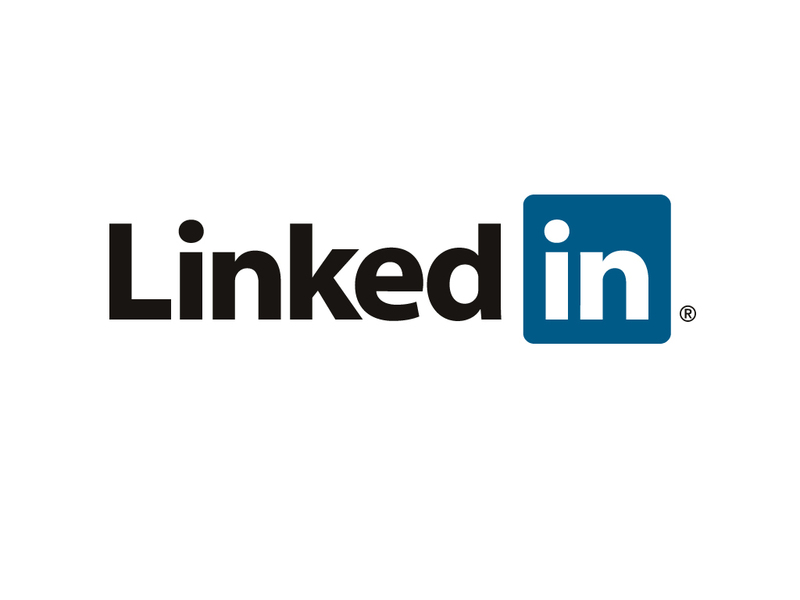 If folks want to use LinkedIn in order to find people connected in their particular industry, as my wife does, I get it. If I were looking for new employment, I would most definitely have my bio on that site. But running around “endorsing” people doesn’t seem like time well spent. 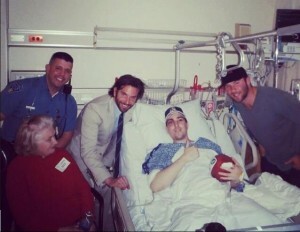 Jeff Bauman is in the picture to the right. He is in the news right now because he had the great misfortune of being near one of the Boston Marathon bombs. In the picture Bauman is smiling and giving a thumb’s up. He is also missing both of his legs. 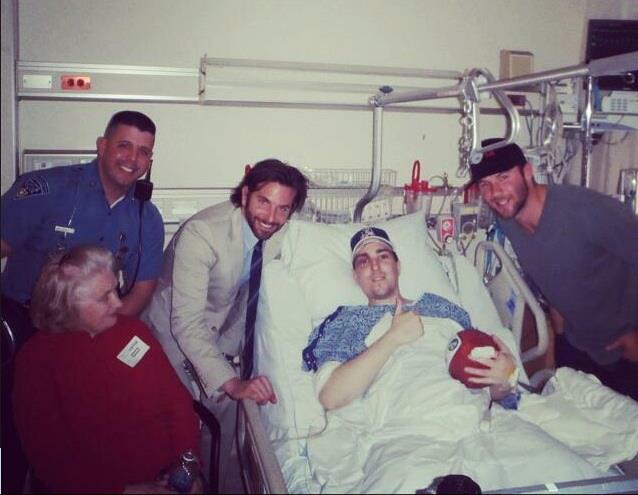 Actor Bradley Cooper is to the left and New England Patriots wide receiver Julian Edelman (who tweeted the picture) is to the right. As soon as he woke up in the hospital, he asked for pen and paper to write that he saw the bomber and then went on to help the FBI. I bring this smile photo up today because, over the years, I’ve covered several rulings by courts that deal with defense attorneys asking to fish through the Facebook and other social media sites of plaintiffs. They ask to fish because the plaintiff is smiling in a photo and claim that the smile is inconsistent with suffering. Perhaps future courts will take note of the picture of Bauman, with a smile and a thumb’s up, to note that a smile in a snapshot does not magically mean everything is well. Judges and practitioners, please take note. Updated (4/26/13) – Another smile, this time from bombing victim Heather Abbott. One week after the bombing, she had her leg amputated. Prior attempts to surgically repair the leg had failed. Three days after the amputation she appeared at a press conference. And smiled. You can see her expression here. A smile may mean many things. 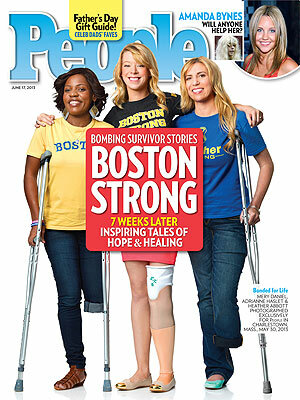 Updated June 24, 2013: People Magazine ran a cover photo in its June 11, 2013 edition — three amputees, three brave smiles. If a defendant tries to claim a smile in a photograph means the person isn’t injured, just show them this cover.